I love my macro lens! What I like best about it is that it makes me slow down, breathe deeply, and pay attention to the smallest of details…things that I didn’t even realize I couldn’t see. Over the weekend I had the opportunity to spend some time at our local botanic gardens, offering a wide variety of plants in different ecosystems from deserts to rain forests to native plants of our area. They also had a section of the gardens that was all fruit trees…a variety of citrus, figs, persimmons, guava, and more. 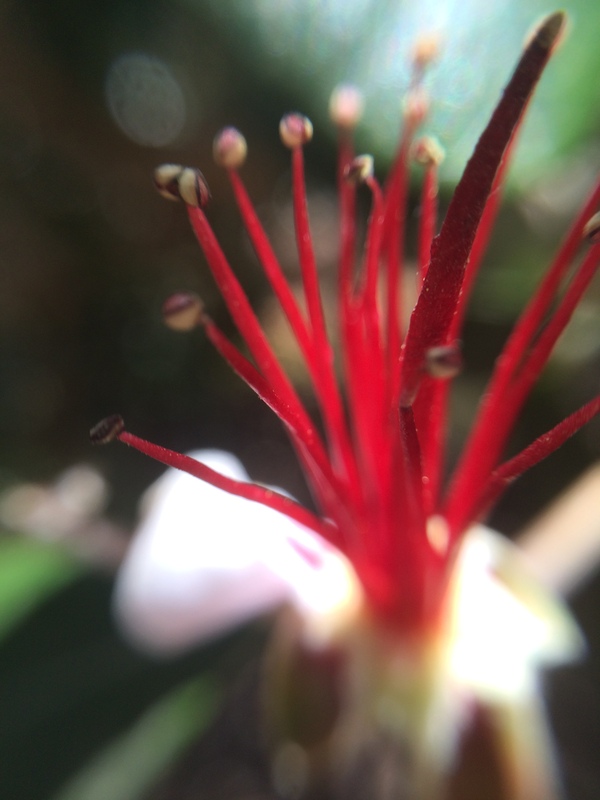 When I saw this delicate guava blossom, I had to stop and take out my macro. I just knew that it would take a close look to really see and appreciate the beauty of this ethereal bloom. And once I got started, I couldn’t stop myself. Each variety offered its own unique beauty. Here’s one variety of fig. This is a different variety of fig…and perhaps at a different stage of development. 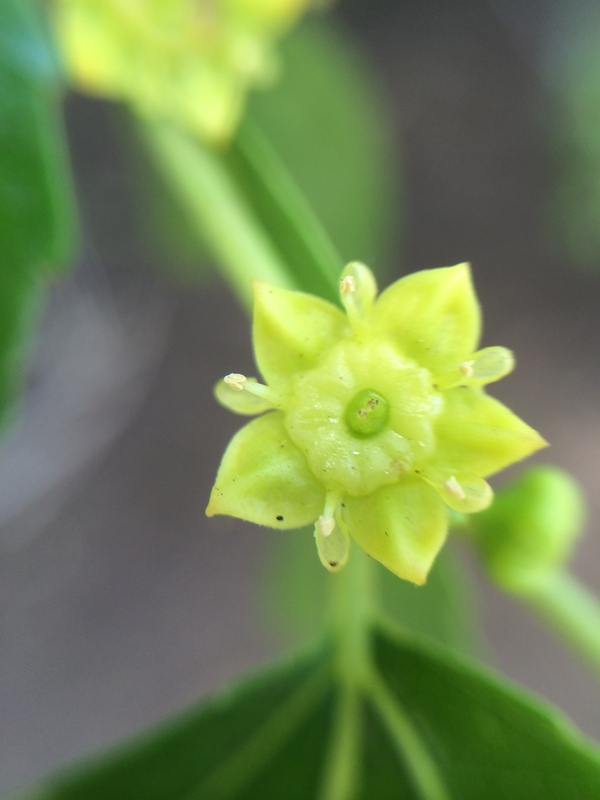 I was surprised by the center of this lime blossom. 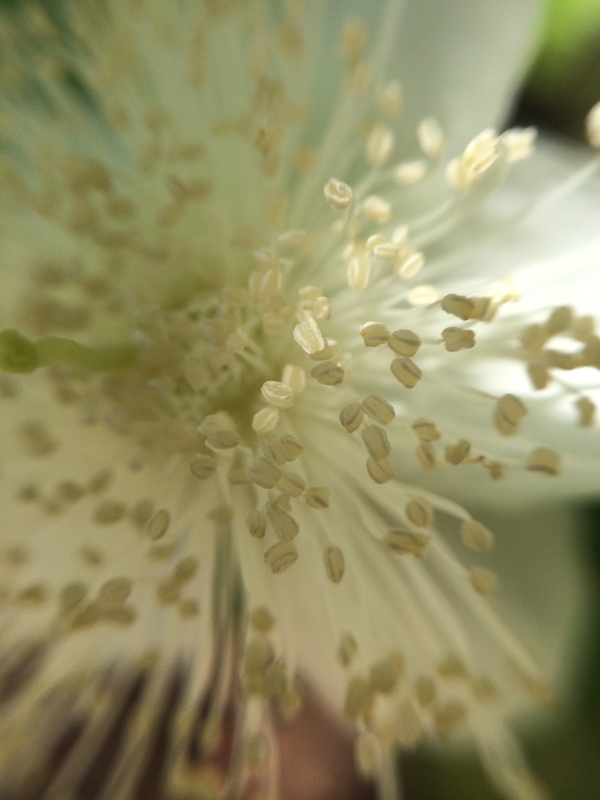 I knew it was a white flower, but I hadn’t noticed the center before taking this photo. And this lemonade lemon tree had the prettiest pink blossoms getting ready to open. I’m not sure which fruit tree this blossom came from, but I love its crazy red fringe! 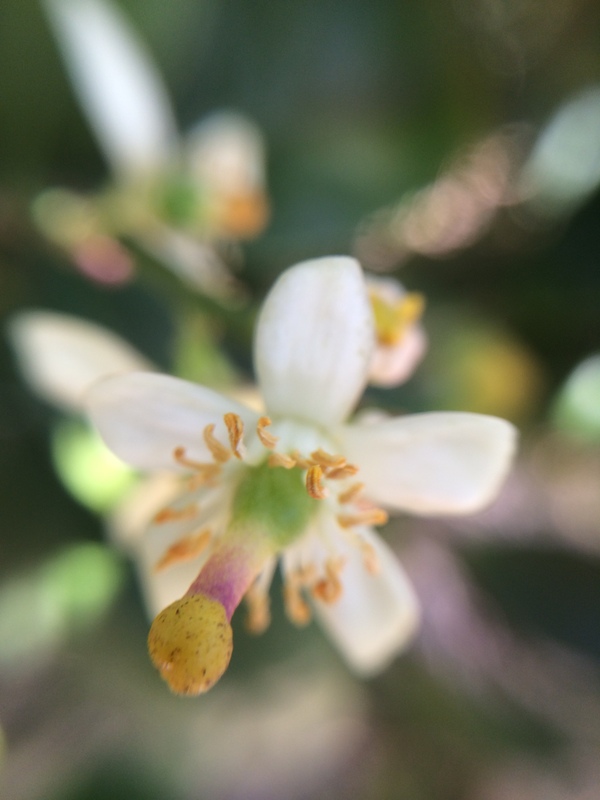 As I looked closely at these fruit blossoms I found myself thinking about how much diversity there is among them. Even varieties that are closely related are different from one another. Which got me thinking about my students…and students in general. As teachers (and parents too), we need to slow down, look and listen closely, and pay attention to the diversity among our students. Even when students are all the same age, they have vastly different personalities, learning strengths, and interests. I often have the privilege of teaching siblings…sometimes even twins and triplets…and what I know is, despite having the same parents and living in the same environment, each child in the family is different from the other(s), highlighting the complexities of DNA, personality, behavior, and more. And in spite of these differences, we all have so much in common: the need to be loved and valued, to be nurtured and supported, to have others assume the best and help us learn from the inevitable mistakes we will make. 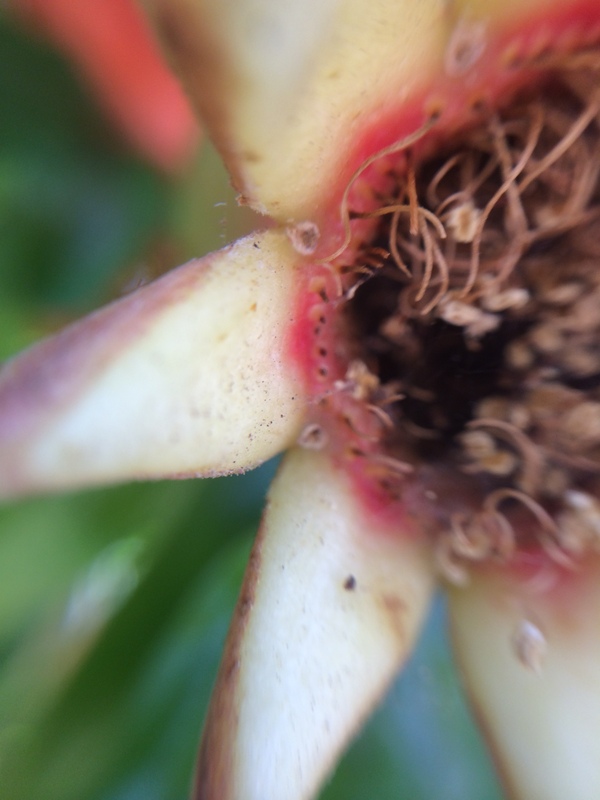 That macro lens offers insight as I look closely at the world of plants, noticing features and details I might have missed without it. I don’t have a macro lens to use with my students, instead I have to use the lens of mindfulness to keep myself attuned to the individuality of my students and take the time to notice and learn from them and about them. I don’t just teach a group of children, I teach a classroom full of diverse individuals and to teach them well it’s important for me to know that and take their differences into account. And for me, that’s the beauty of the classroom, it’s a room full of teaching and learning opportunities as we all bring who we are into the mix. Our differences are the best part of our learning community as we help each other slow down and see the world in new and different ways. 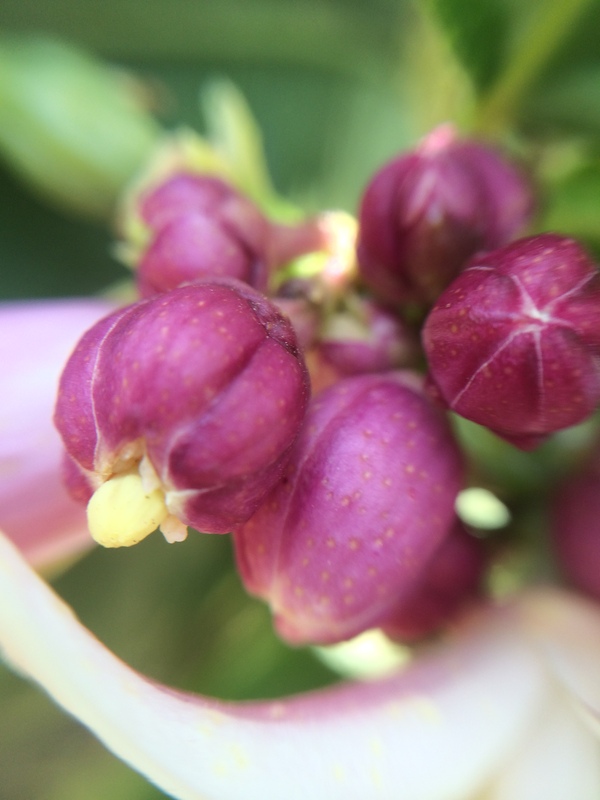 This entry was posted in Slice of Life, teaching and tagged blossoms, diversity, fig, fruit trees, lemon, lime, macro, photo essay, photography, thinking on June 10, 2014 by kd0602. I love my macro lens for the same reasons! Mine went missing this week (argh!) and I felt like I was missing a finger, so I had to buy another one. Very cool shot of the guava plant! Thanks Joy. I only wish it was handier to use my lens…I have to take the cover off my phone to use it, so I have to have both time and motivation. But I do love it. I’d like to be in love in my macro. Are you using a tripod for those shots? I love how you move from flowers to flowering kids. Thanks Bonnie. No tripod. I use the lens with my iPhone. And try to hold really still. (that’s the hard part, especially if there’s a breeze). But I love the results so the hassle is worth it!